Captains Drive-In; Sunday 20th. Jan. @1.00. 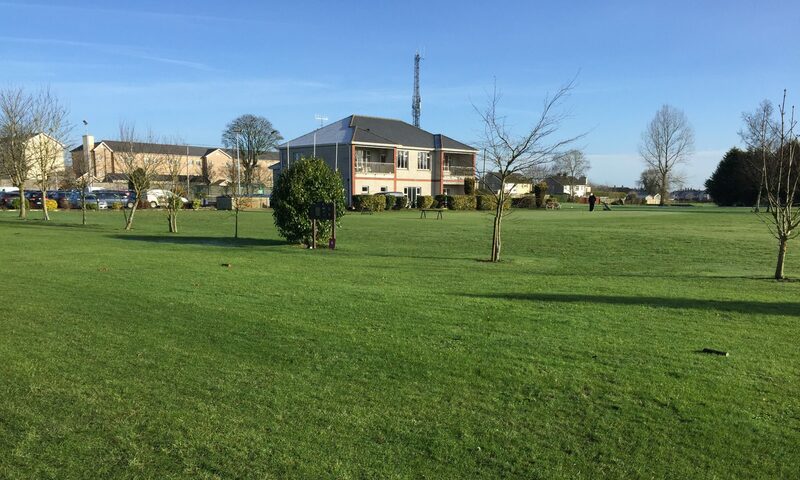 Captain Tony O’Toole and Lady Captain Lorraine Ryan Drive-In will be the day to celebrate the opening of this fabulous 9hole Golf Course for business for the Golf year 2019. All club members past and present are all invited to take part in this 9hole mixed. There will be refreshments for all and a great day of golf. Give you full support to both Captains by registering on the day. Weekly Open Competition Continued Success; This ideal opportunity for all outside club members has proven to be very successful. The course is in excellent condition and playing well. It’s an ideal opportunity for all golfers to get in their game of golf on this wonderful course. The winners for week 31st. Dec. to Sunday 6th. Jan. 1st. Jerome Ryan, 27pts. ; 2nd. Paul Lyons, 27pts. ; 3rd. Seamus Bourke, 26pts. 2019 Golf Rules Local Presentation; It was great to see a good attendance from Templemore Golf club at the New Rules presentation in Thurles Golf Course on Friday 11th. The presentation was very professionally delivered by Mary Coman, Thurles, and our very own Pat Dunne. It was very informative and in layman’s language. Well done to both and much appreciated by all in giving us the correct golf terms and rules for 2019 and onwards. All members can log on to www.randa.org and download this app https://www.randa.org/en/rog/2019/pages/visual-search It will give a virtual explanation of the new rules. New Special Membership for beginners, 2019; There is a “Special limited Rate” for beginners which is guaranteed not to change for 3 years. This is very attractive for anyone interested in joining and for those purchasing vouchers to give a life changing experience to someone. New members are now been accepted. The membership categories have been increased to suit all sectors of the community. All current members are encouraged to introduce at least “ONE NEW MEMBER” Lady or Gent, Junior or Student, Seniors Juveniles and Family, Active Retiree’s, Special Needs or any person interested in taking up the sport. It will be a huge advantage to building the club membership and profile. Registrations Forms for new members are now available on-line on our web site, just select the “Membership” tab and it will give you the option to pay by Pay Pal or Credit Card. or collect an application form at the club house or contact Martin Bohan 087 0509278 or any of the committee members. Payment options can be made through the Golf Club web site link; http://templemoregolfclub.ie/membership/ All will be welcomed. Ladies Golf; We look forward to Ladies Captain Lorraine Ryan and Club Captain Tony O’Toole Drive-in on Sunday 20th. at 1.00. It will be a 9hole mixed. Tea and refreshments will be provided for all. All are welcome to take part and support the beginning of the new golf year 2019. The Seniors; On Thursday 10th. Jan. 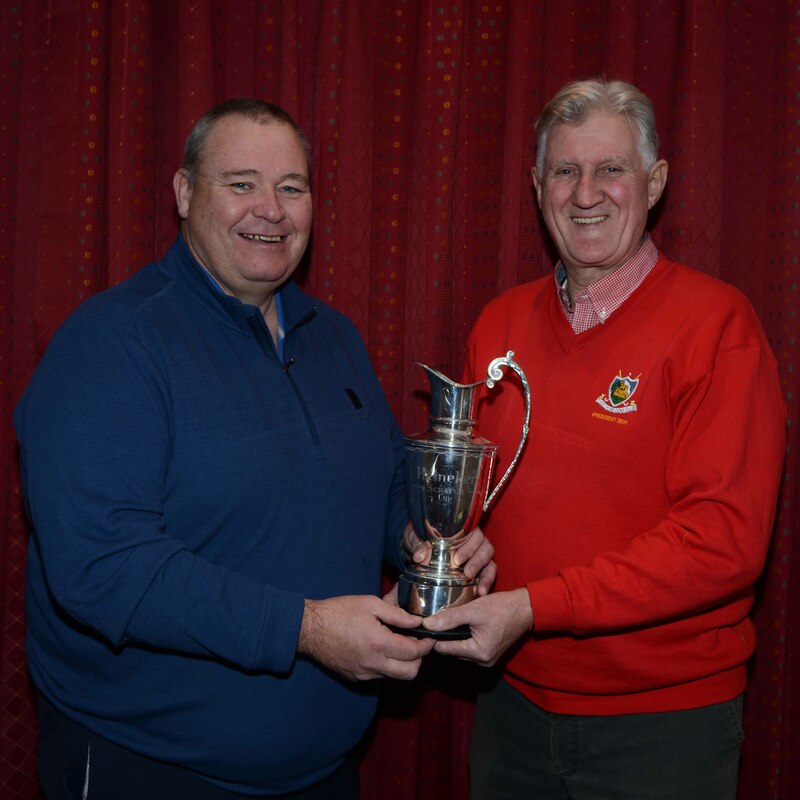 There was a great turn out and the course played well due to the excellent course condition; The team results were; 1st.Team, Martin Bohan, Jim Gleeson, Tom Kennedy, Michael Maher. 2nd.Team, Seamus Bourke, Mick Murphy, mick Connell. 3rd. Team, John Hassett, Joe O’Connor, Ollie Murray, James Murray. Next Seniors; Thursday; 17th. Jan.